Featuring Pure Monster Sound™, the Monster N-Tune headphones are a must-have accessory and the ultimate companion for music lovers and superstar DJs-in-the making. They're super lightweight and ooze street style, so you can be the coolest kid on the block while rocking out to your favourite tracks. 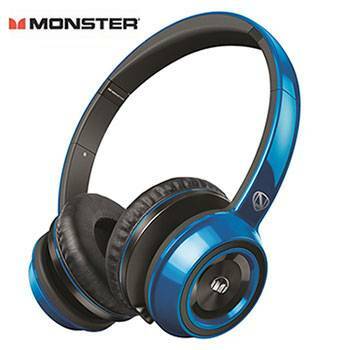 The Monster N-Tune headphones are available to purchase at www.jbhifi.com.au. Review: Monster N-Tune Headphones are the perfect choice for style, comfort and most importantly superior sound quality. Cupping over the ear snuggly, these headphones deliver Monster sound, while buffering unwanted outside noise (so great for sleeping in the car). They come in classic black or 5 metalic colours including; red, blue, purple, green & orange. Be the envy of all your friends with Monster N-Tune Headphones.